unknown car type from 1947 British Columbia, thanks to EU83! Is it not odd that John’s sighting of another Canadian was made to mount a British Temporary Visitors’ plate? After all, Canada was surely a signatory to the appropriate conventions? Thierry? 60.198 Quebec 1939 carrying GB ‘Q’ plates, too. 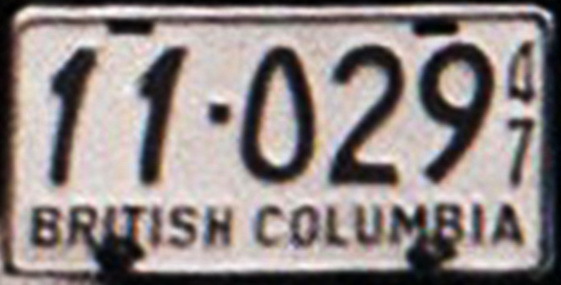 From another source, unknown, comes this 1932 Trade plate D 9, from B.C. 1932 British Columbia Dealer during lunch-break. 1971 in Montreal. 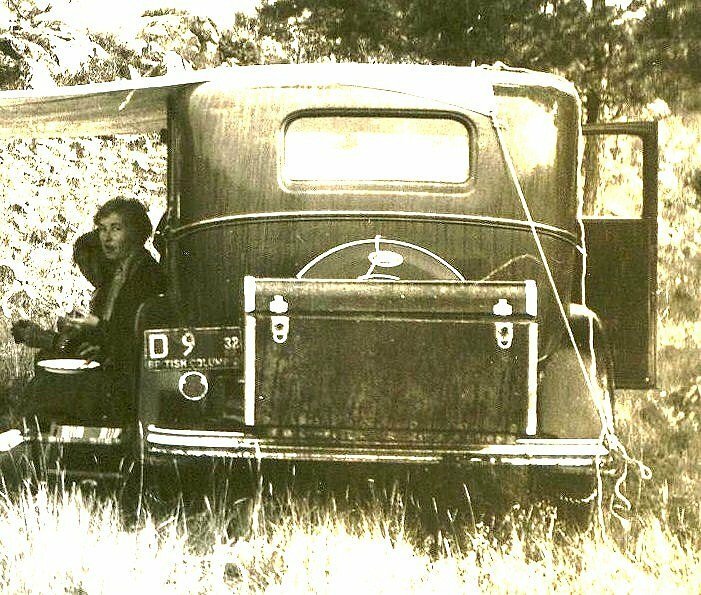 The Quebec Liberation Group, allied to the Austin Owner’s Club Provisional Wing, had some unofficial ‘Q’ ovals made, possibly to assist them to get privileged parking…. 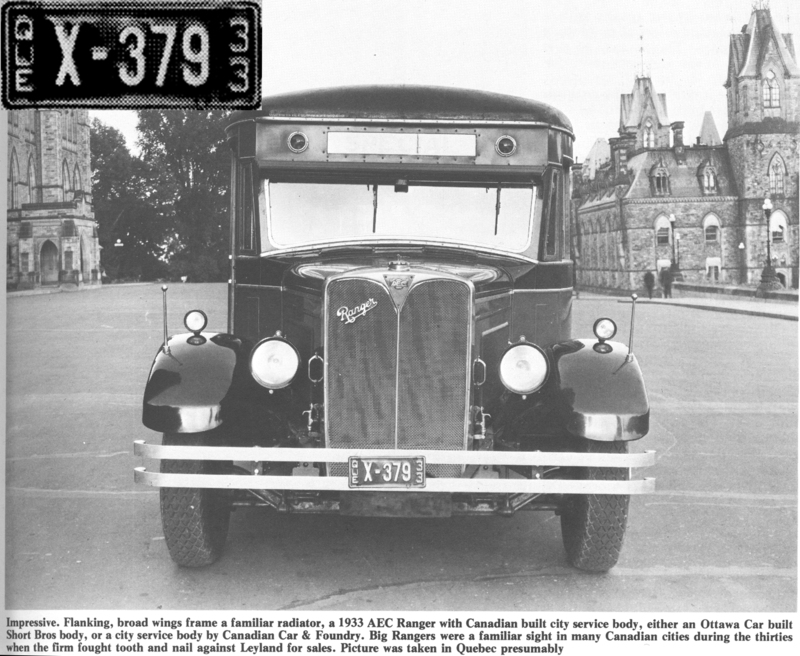 The journal Old Motor (now extinct) gives us this image of a Quebecois Dealer plate, probably from publicity pictures taken by the bus’ body-builder, before delivery to the purchaser and its regular registration. 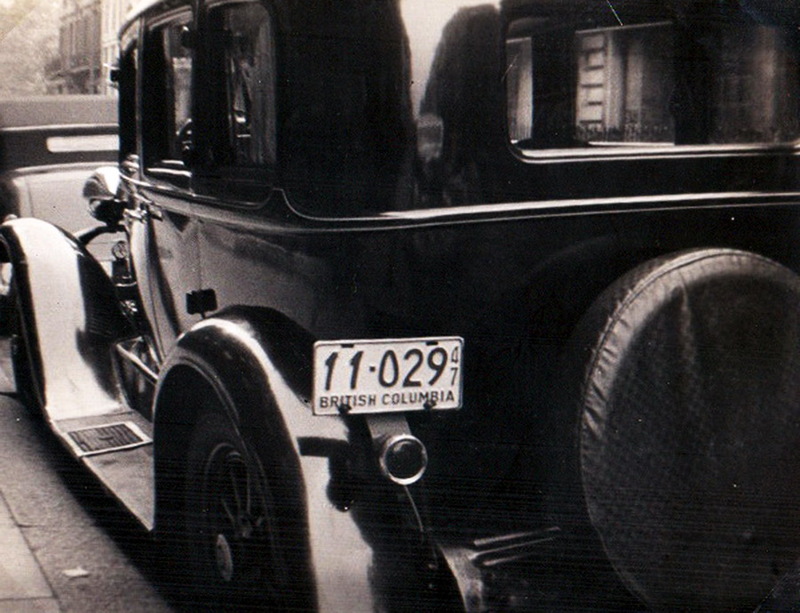 AEC Coach Dealer plate in 1933 Quebec. This entry was posted on Tuesday, January 22nd, 2013 at 9:19 am and is filed under America-North, Canada. You can follow any responses to this entry through the RSS 2.0 feed. You can leave a response, or trackback from your own site. Nice old shots, but a couple of comments are necessary. The BC plate at the top is a ’47, not a ’37; don’t let the old car fool you. 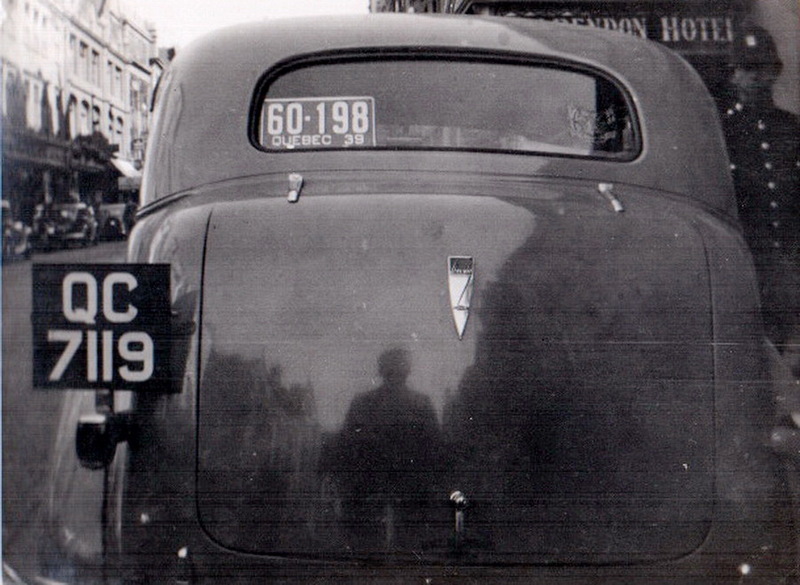 Perhaps the ’39 Quebec plate in the rear window is a souvenir (as is often seen these days) and not specifically related to the car. Would it make a difference to the requirement of the Q plates if the Quebec registration had expired? 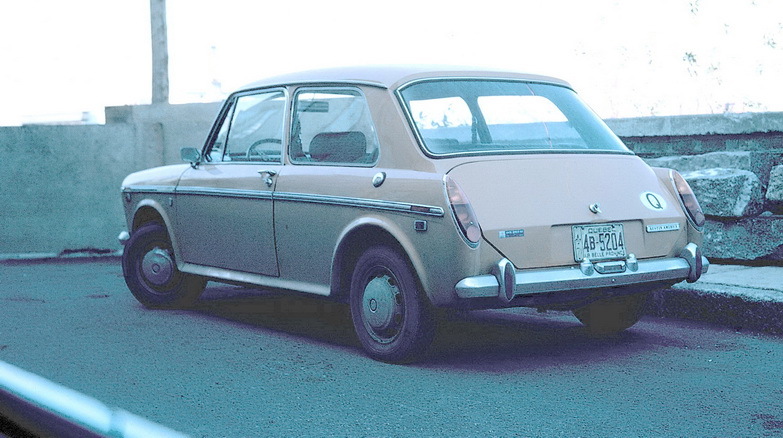 Canadian registrations of the period expired annually. And the shot of the wonderful old bus may have been taken in Ottawa (Ontario, just across the Ottawa River from Quebec Province; the city on that side was called Hull then); the Victorian buildings look suspiciously like the Canadian (federal) Parliament Buildings. Oops David – now I can’t read dates correctly! I have quickly tidied the article!